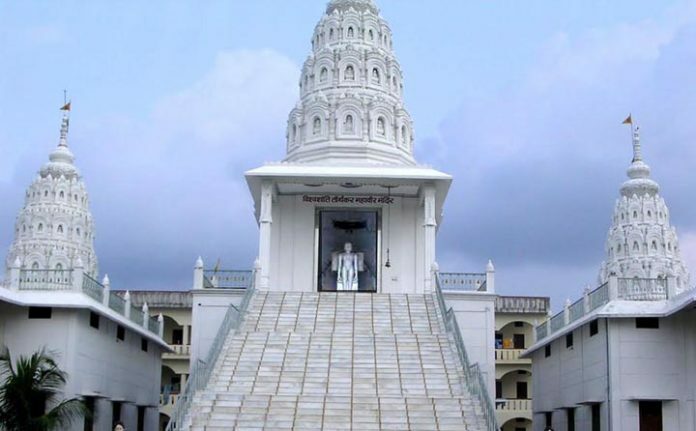 Kundalpur is a famous pilgrim centre of Jainism and is located in the Nalanda district of Bihar. Devotees believe that this is the sacred place of Lord Mahavira’s Garbha, Janma and Tapa Kalyanaka. Lord Mahavira’s father was King Siddhartha and his mother was Trishala Devi. Since the kingdom grew more prosperous during the conception of the queen the child was named Vardhaman(ever increasing). Lord Mahavir is said to have spent 22 years of his life at Kundalpur. The Nalanda University close by which was set up in the 5th Century B.C developed into a great centre for learning. 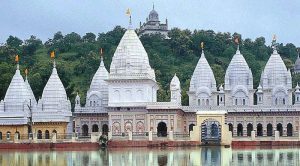 Lord Mahavir is said to have made many visits there. Lord Mahavir’s three Ganadhars Agnibhuti, Vayubhuti and Indrabhuti were said to be born at this place. Several visits to this place and preachings and sermons delivered here have made this place very important. The temple is huge and magnificent with beautiful spires. The main idol is Lord Mahavir’s attractive idol which is white in colour, 4.5 feet in height and in Padmasana posture. There is an ancient umbrella outside the temple where foot images of Lord Mahavira are installed. 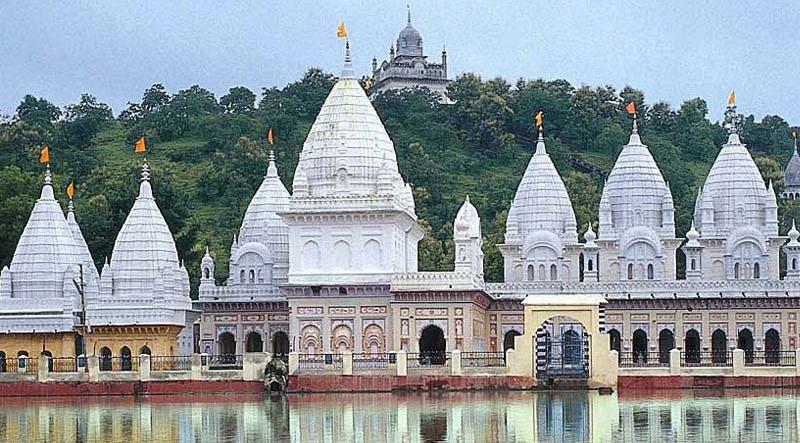 There is a huge magnificent Keerthi Sthambha with 8 idols of Lord Mahavir installed in this. 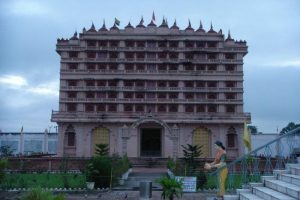 The 16 dreams that were seen by queen Trishala to indicate the birth of a Tirthankar are beautifully picturized in these temples and her foot images are also installed here. Foot images of Gautam Ganadhara who was the chief Ganadhara of Lord Mahavira are also installed in an umbrella. Foot images of the great Acharya Bhatta Akalanka Dev are also installed here who was the author of a great text on Indian Philosophy “Ashta Shati’. There is an art gallery of photos and pictures related to Lord Mahavira. There are two lotus lakes the Dirga Pushkarni and Pandava Pushkarni marking the spot. 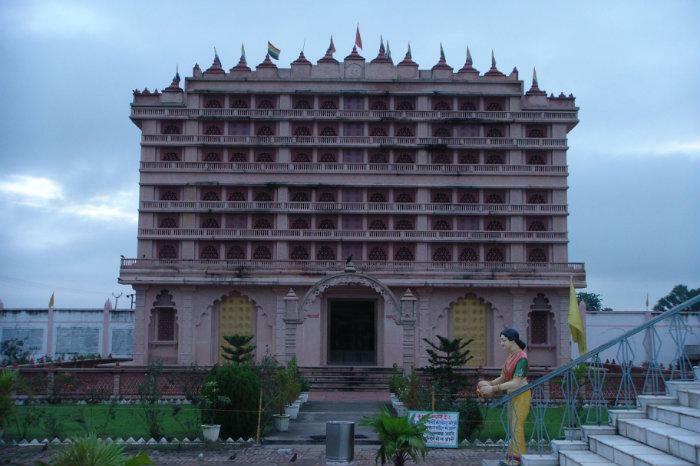 Nandyavrat Mahal a palace where Lord Mahavir was born and several other temples are being constructed. 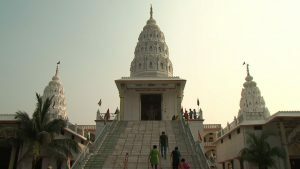 The temples are Bhagavan Mahavir Jin Mandir, Bhagavan Rishabh Dev Jin Mandir, Navagraha Jin Mandir, Trikaal Choubisee Jin Mandir and Shantinath Jinalaya. Road: – Buses are available from Bihar Sharif to Kundalpur. Buses & Taxies are available from Shri Sammed Shikharji; after travelling to Kundalpur, Pavapur, Nalanda, Rajgir, they leave at Gaya. From Rajgir & Pavapur buses are available for Kundalpur. Airport: – Patna, Bodh Gaya are the closest airports. This holy place is visited by all pilgrims as the land has been hallowed and made sublime and sacred by the spiritual vibrations of Lord Mahavir. The scenic beauty and the peaceful atmosphere of the place increase the faith and devotion of the pilgrims and help them to transcend the infinite cycles of birth and death and gain enlightenment and bliss. Previous Post: Kulpakji Jain temple Nalgonda A.P.